One of Broadway's—and later, Hollywood’s—favourite stories continues with Mamma Mia! Here We Go Again, which flashes back to the early years of Donna and the Dynamos. 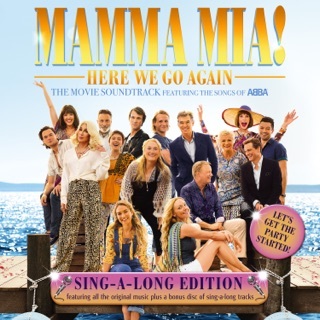 Like the first film, which wove its plot line from ABBA’s biggest hit songs, this soundtrack is a feast of the Swedes' joyful pop with even more dramatic reinterpretations of disco-era classics like “Dancing Queen” “Waterloo” and the moody "Fernando” sung by none other than Cher. Great song cannot wait for the film to come out. 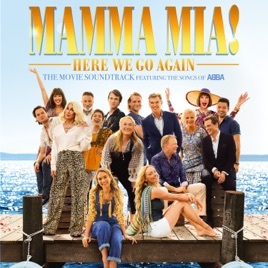 As with the first film I really wanted to like it because I am a life long ABBA fan but I really can’t because they are just covers by actors who aren’t singers. My only hope is that this silly film and these poor quality covers will once again sky rocket ABBA Gold back to the top of the charts. New music from the original legends later this year is what I’m really looking forward too! I grew up with all the Abba songs, I could sing along to almost all. Some narrow minded people out there, Cher sounds like Cher, listen to gypsies tramps and thieves, drag queens strive to be Cher , not the other way round.